Everyone wants to be able to travel, but sometimes the expense makes it a challenge. 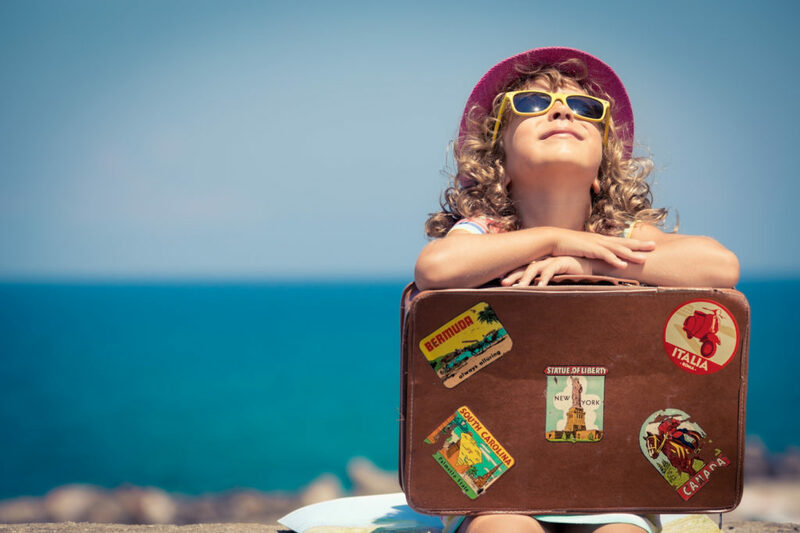 To help make this the year you finally go on your dream vacation, we’ve created this list of the top 5 summer travel tips! Get ready to pack your bags. First up on our list of summer travel tips? Make sure to use hotwire.com to help you find the best deals out there. With everything you have to do in a single day, you often don’t have time to comb through airfare and hotel listings to find the best deals. Luckily, hotwire.com does it for you! They’ll send you personalized tips on travel deals that no one else knows about, help you find great prices on flights and rental cars in your dream destination, and even track flight price changes. It’s easy to find the best time to book, or discover a destination that’s in your budget! Did you know that Groupon, the famous online coupon website, has a travel section? This way, you’ll be able to browse listings, read reviews, and see stunning photos of your potential vacation destinations — all for a fraction of the cost! The deals make is very clear what is and isn’t included in your stay, and which dates are available. It’s easy to find the perfect vacation for you and your friends to book! Roadtrips aren’t just tons of fun — they’re also a great way to save on your summer travel plans. Plus, driving allows you to see tons of different destinations — and to discover ones you didn’t even know existed! They’re a great way to bond with friends and family members. These days, there are so many more places you can stay other than a hotel. Airbnb, Couchsurfing, even housing swap deals…the list goes on. Hotels are expensive, and most don’t include kitchens — which means you’ll be forced to eat out a lot. This can drive up the cost of your vacation quickly. We suggest doing a social media blast advertising a house swap or asking if your Facebook friends know of anyone you can stay with. Most cities offer museum and other activity passes that allow you to visit multiple landmarks for a fraction of the cost. If you plan on seeing lots of sights on your vacation, be sure to keep your eye out for these deals! Always ask about multi-day passes on transportation, as well. Especially if you’re going to Europe, many cities offer discounts to tourists that take the metro or bus. Make The Most Of These Summer Travel Tips! As you can see from this post, it’s completely possible to book the trip of a lifetime without wrecking your credit or going into debt. Looking for more advice on how to make smart financial decisions and save money? Spend some time on our website!